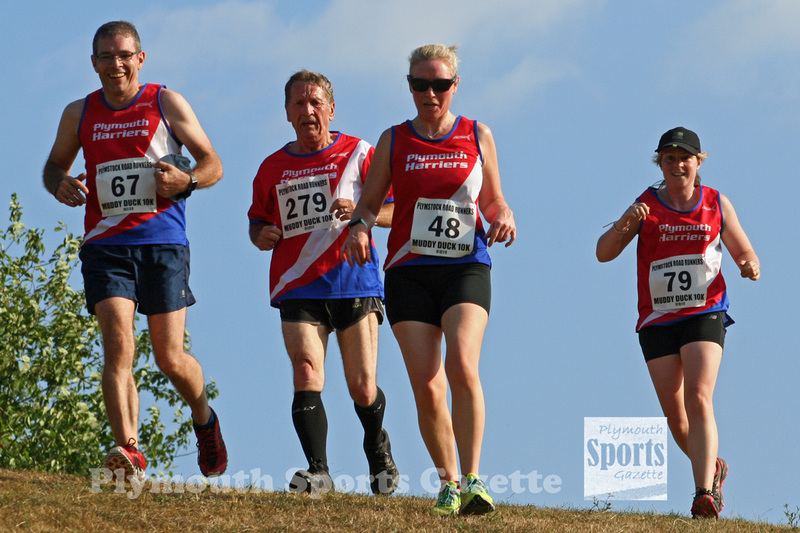 BEN MORRISH claimed victory in the 2018 Plymstock Road Runners’ Muddy Duck 10k. Plymstock are celebrating their 30th anniversary and their annual Muddy Duck race sold out before the day. In the end 248 runners finished the run from Oreston Academy School and into Radford Park. The race involves a number of water crossings and short steep hills. Team H’s Morrish triumphed in 37 minutes and 53 seconds, with over-40 veteran David White second in 38.32 minutes and Ben Austin third in 39.21. Storm’s Pete Waumsley was fourth and first over-45, with Tavistock’s Martin Exley-Deane fifth and first over-55. There was a great women’s race which saw the course record smashed. 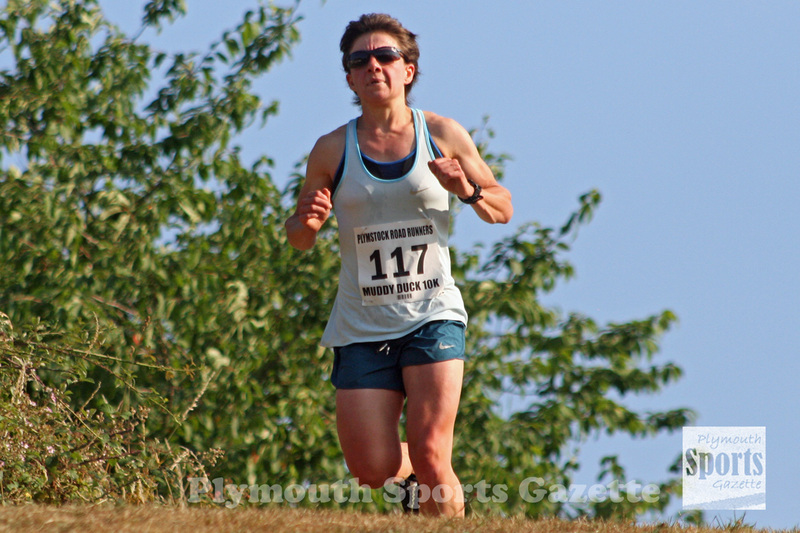 South West Road Runners’ Marie Faithfull triumphed in 41.57, which was five minutes quicker than the previous course record. She was sixth overall. However, not far behind her was Maddie Horton, who was second women – first over-40 – and eighth overall in a time of 42.38, which was well inside the old record. Third women was Royal Navy’s Heather Scullion (46.47), with Erme Valley Harriers’ Emma Lake fourth and second over-40 (47.35). 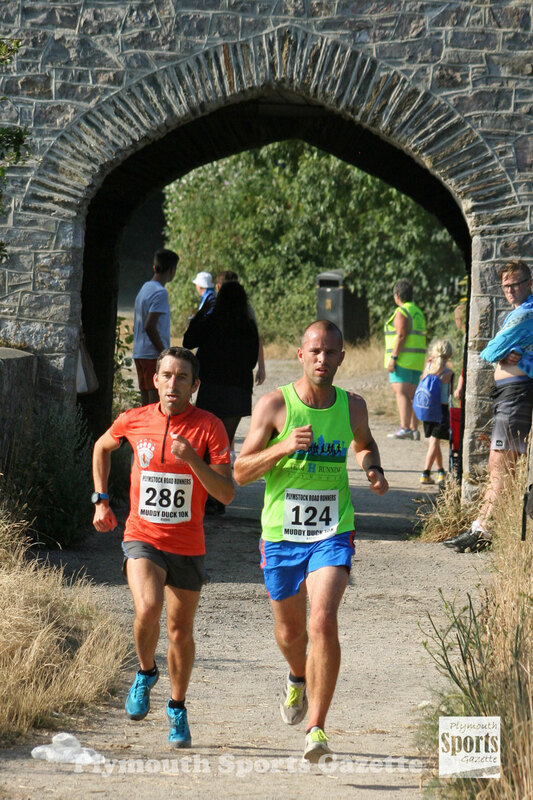 Great photos, just a shame there weren’t more of the back runners!